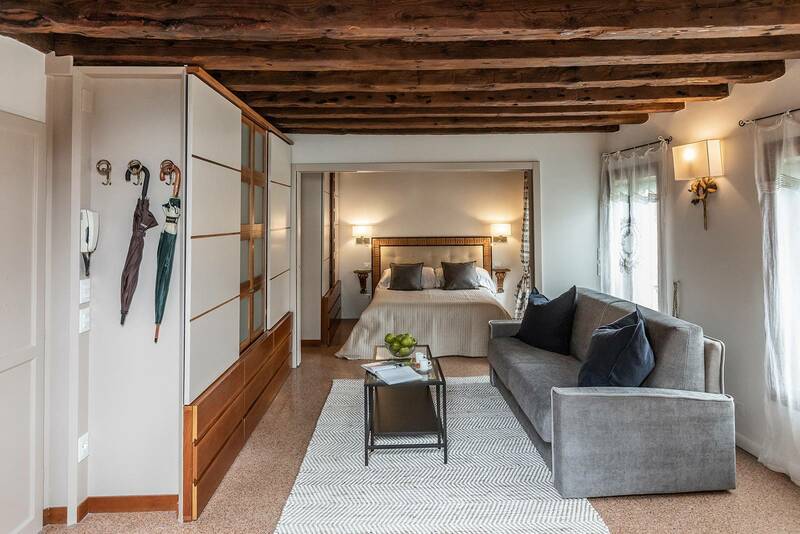 This area of the Castello District is now in high demand between connoisseurs, artists and true Venetians because of its genuineness and antique historical heritage. This is the oldest part of the city, where everything started more than a millennium ago and still today it is preserved almost integrally. 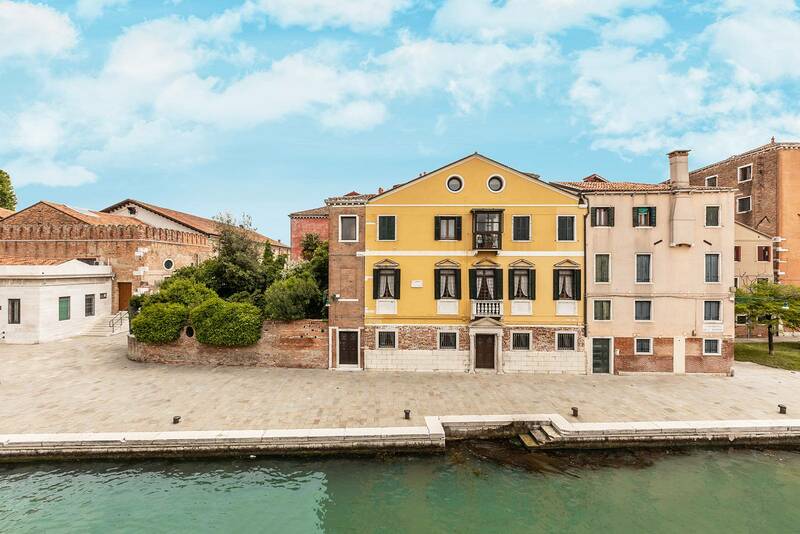 The Serenissima Republic built here the Arsenale in the XII Century, which made the city state the most influential maritime power of the world for centuries. Beside the rich cultural heritage, in this area recently opened a variety of good and inexpensive local bars and restaurants. 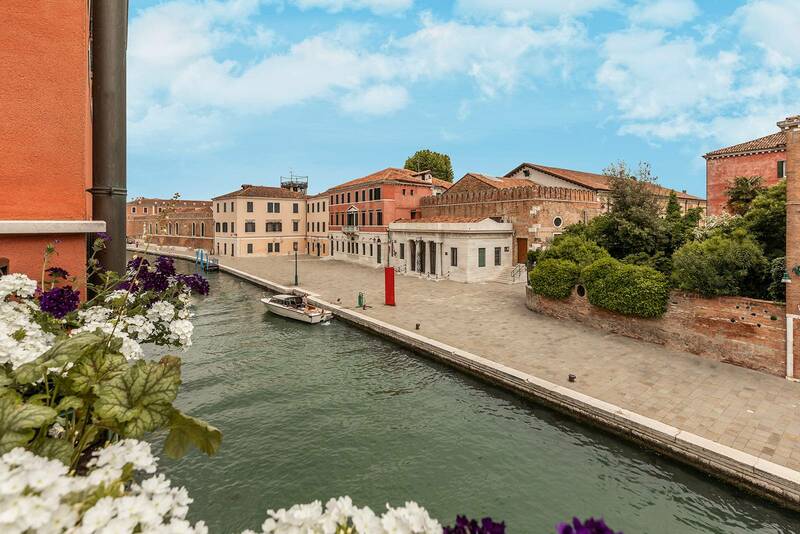 Last but not least, during the Biennale period this area becomes the centre of the creative and alternative artists community, exhibiting at Corderie dell’Arsenale, Giardini della Biennale and in many collateral events organized by its vibrant community. 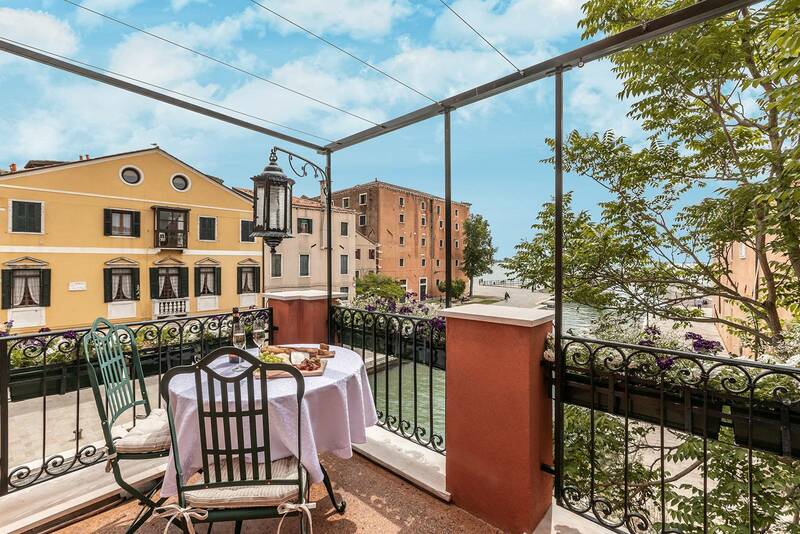 The terrace is by far the highlight of the property: the view that you can enjoy from here is wide open and truly Venetian. The large Arsenale Canal is closed to boat traffic, therefore this spot is particularly quiet end discrete. The terrace is furnished with a table, chairs and sunchair which is perfect for a relaxing breakfast or an aperitif at sunset. The brand-new awning offers the possibility to use it also during very hot days or when raining. 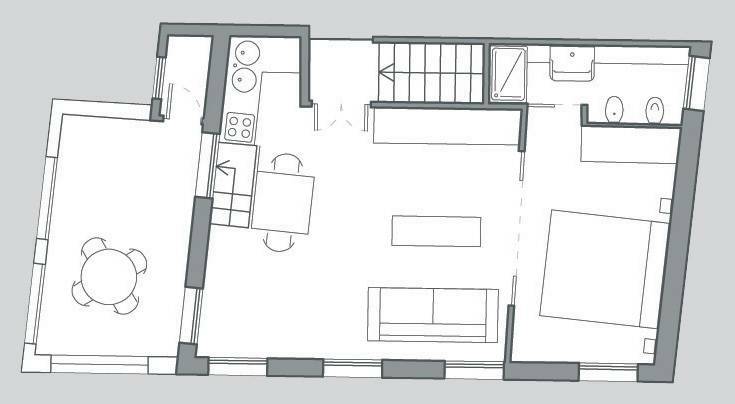 It is composed of a very bright loft-style living and dining area with kitchenette, double bed, large wardrobe and closet space, a luminous bathroom with shower cabin. The sofa-bed in the living is as comfortable as a normal bed and can easily be opened and closed, so during the day you can use the living room freely. 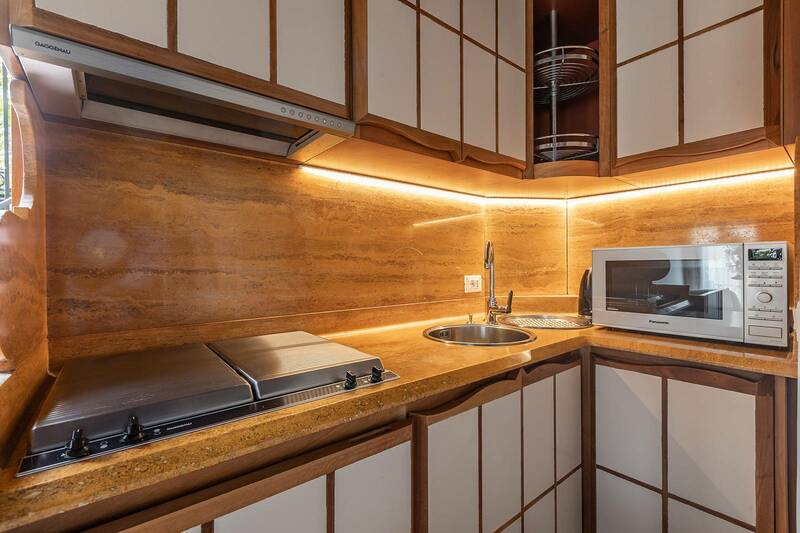 The kitchen features: 4 gas burners stove, fridge, dishwasher, microwave oven, kettle, coffee maker. 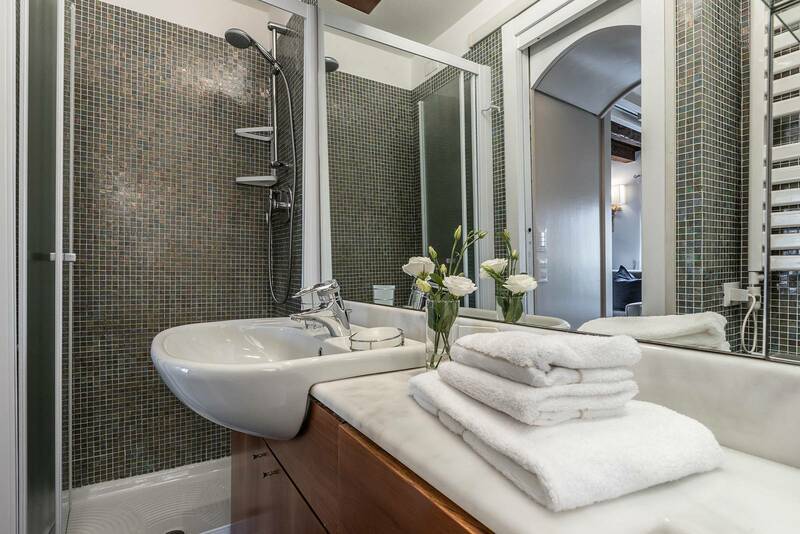 The amenities of this apartment include washing machine, Wi-Fi, air conditioning, independent heating system, TV. 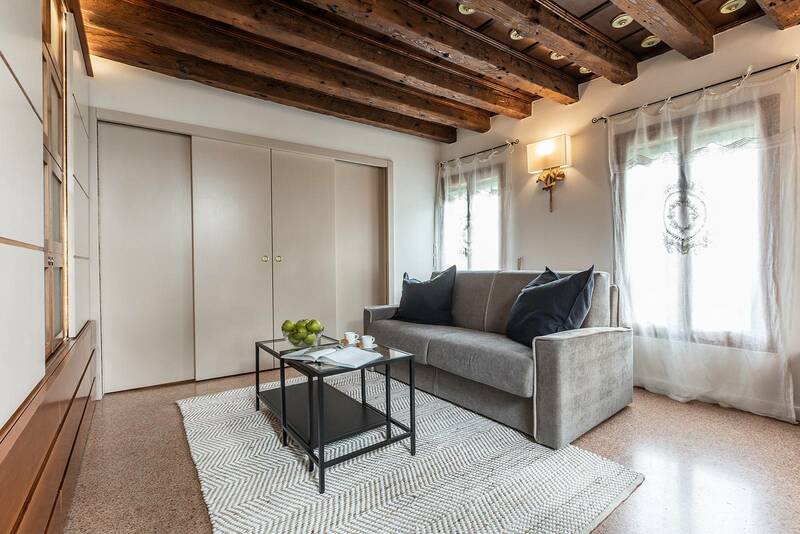 This studio, although compact and accessible by steep staircase, is absolutely the best location and place to stay in Venice. The terrace is stunning. Cannot recommend more highly. 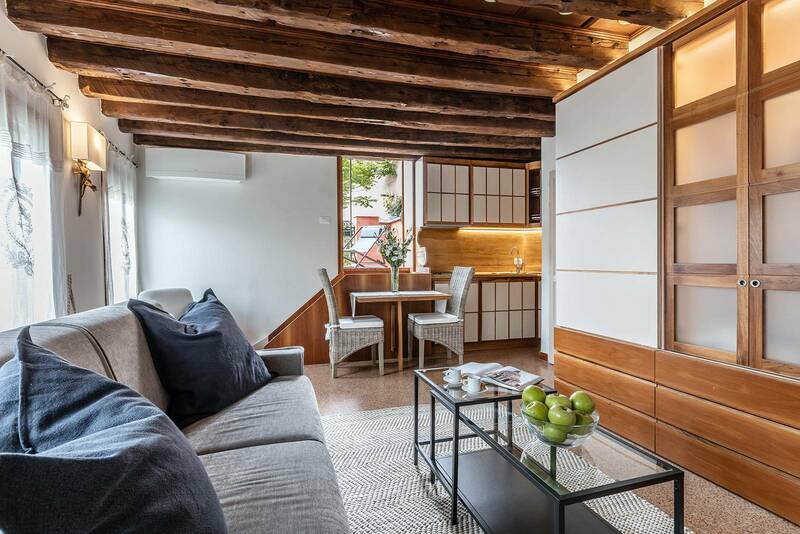 Beautiful studio in a fabulous location in this wonderful city. The living area is very comfortable and well furnished and well equipped although we did not cook during our stay. 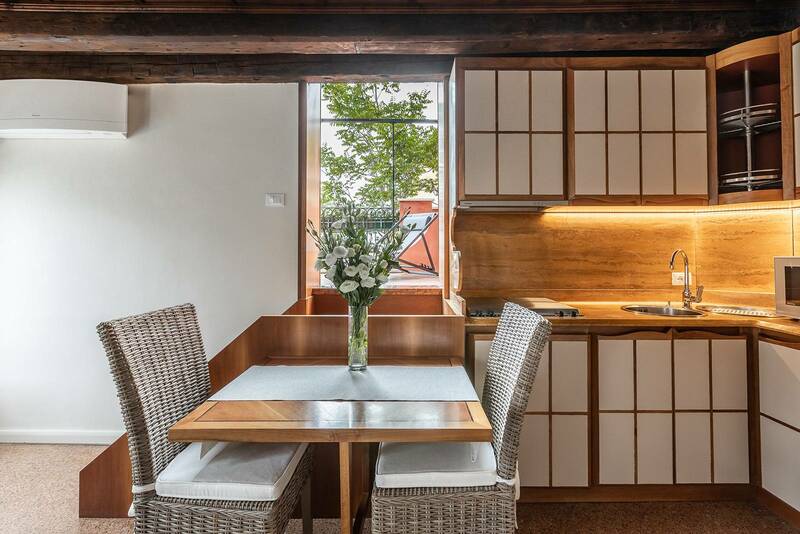 It is also is very bright with many windows overlooking the canal. The terrace is a good size with views up to the lagoon. We would have liked another sun chair for relaxing in the sun. Can't recommend this studio highly enough although be warned there are steep stairs to climb, to get to it, so maybe not suitable for those less able bodied. The Arsenale district is a great base for exploring - close to the main sights but also very quiet. We would definitely stay here again. Loved it! 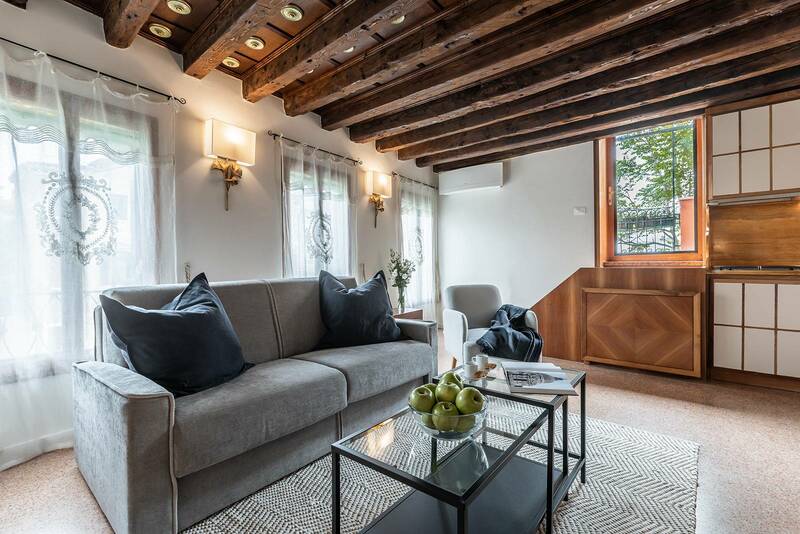 This is a truly lovely little apartment in the 'real' part of Venice. It is very nicely appointed with a comfortable, open plan set up. 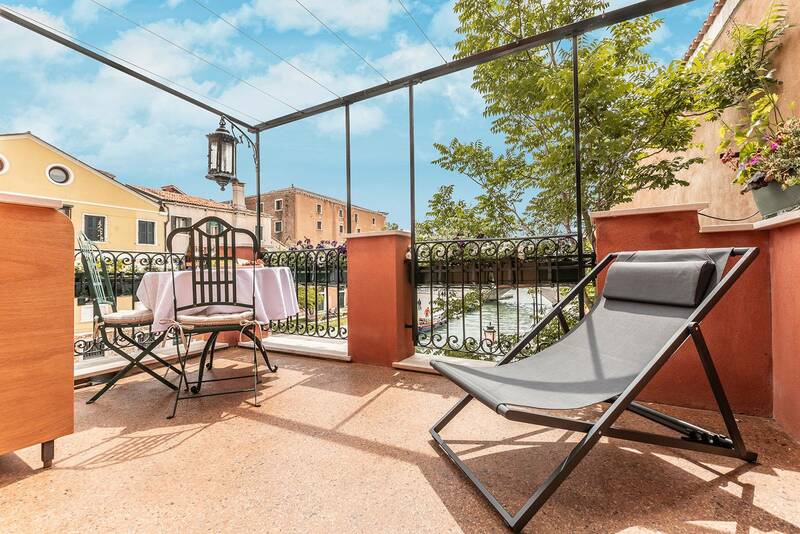 The icing on the cake is the balcony with a stunning view across the bacina and the canal beneath. We spent many happy hours drinking prosecco and watching the world go by and the sun set - bliss. The location is great. Away from the crowds, but very close to walk to St Mark's and the hustle and bustle. 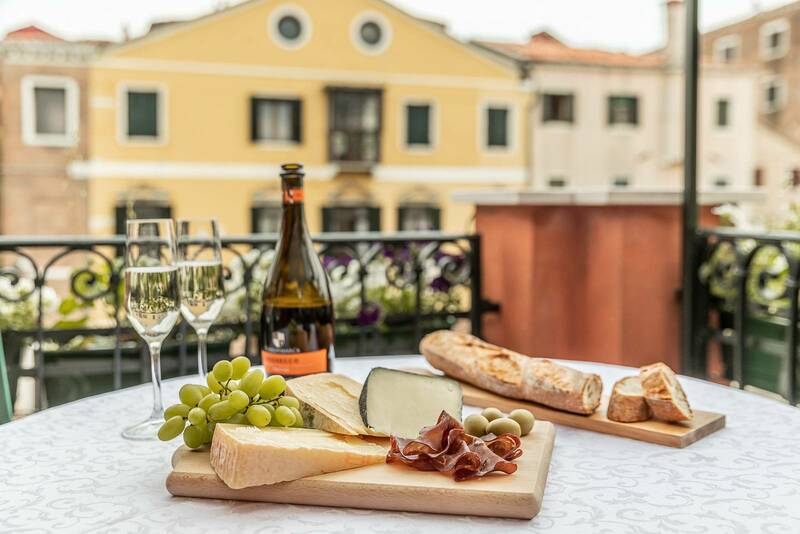 The local shops and supermarket are minutes away and some great little restaurants too, so after a long day of walking round Venice, you don't have far to go to pick up something to cook or have a meal out. Truly Venice is a friendly, helpful company and it was good to know they were on the other end of the phone if we needed any help. 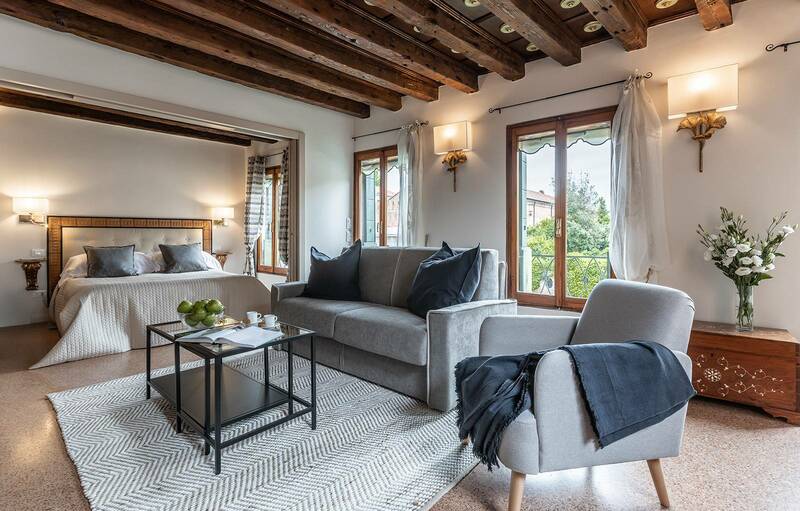 We had a wonderful stay at Alcova ~ ideally situated for the Arsenale Vaporetto stop which means easy travel to and from the airport without the crowds. 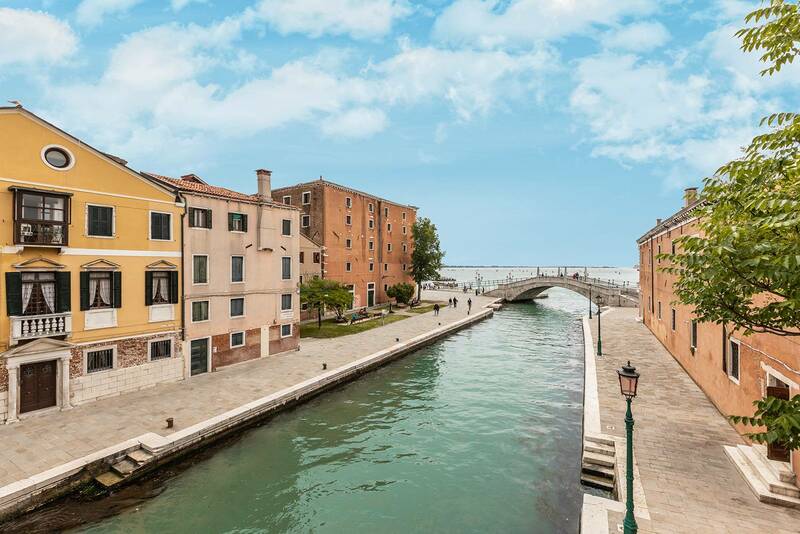 Alcova is in a quieter area on the Arsenale Canal but within short walking distance of San Marco Square and all other visitor attractions and the Venice hub! There are restaurants, bars and supermarkets closeby and a fabulous bakers shop for early morning croissants!! 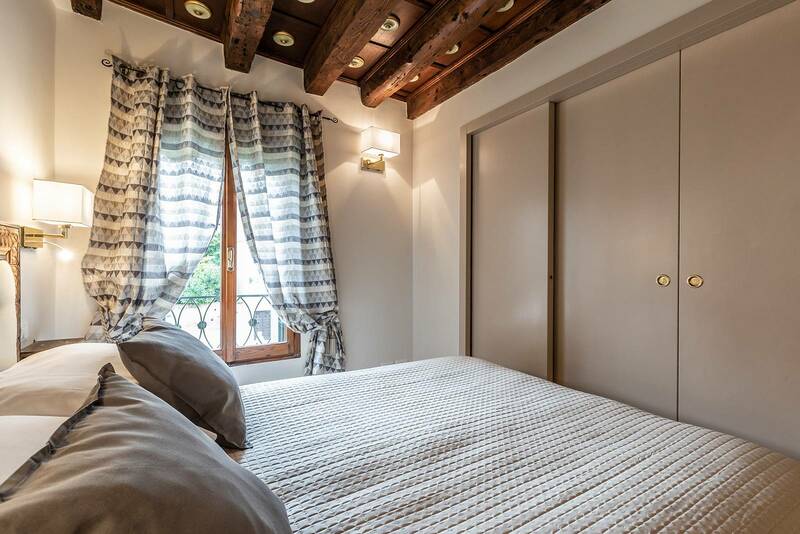 The apartment is light and airy and is very comfortably furnished and decorated to a high standard benefiting from a fully equipped kitchen. We were very lucky to have fabulous weather in October and made full use of the lovely sun terrace enjoying the wonderful views whilst having leisurely breakfasts and lunches. We had a fantastic time staying in Alcova and will return! 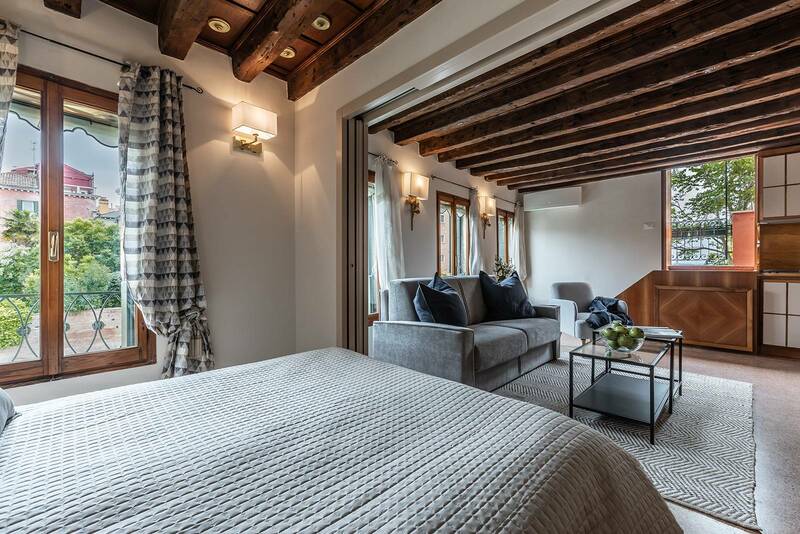 We had a perfect stay at Alcova! 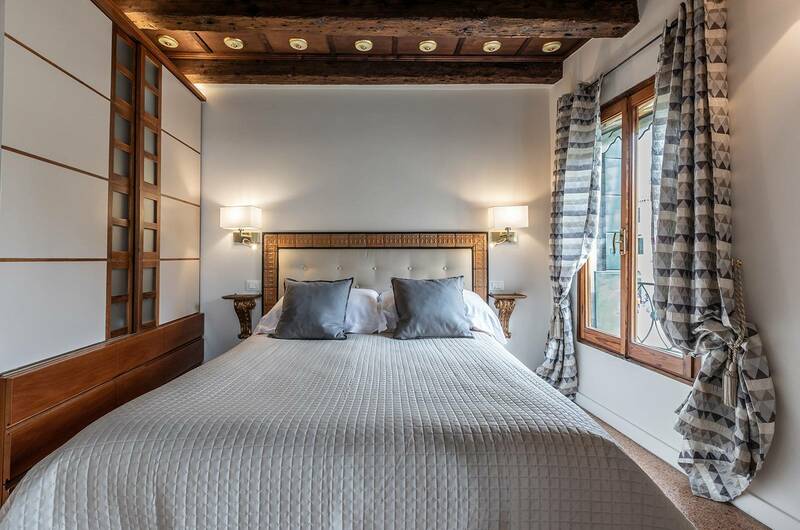 The apartment is very well-equipped and neatly set out and the location is excellent, fantastic restaurants nearby as well as being very close to the central sites without the noise! 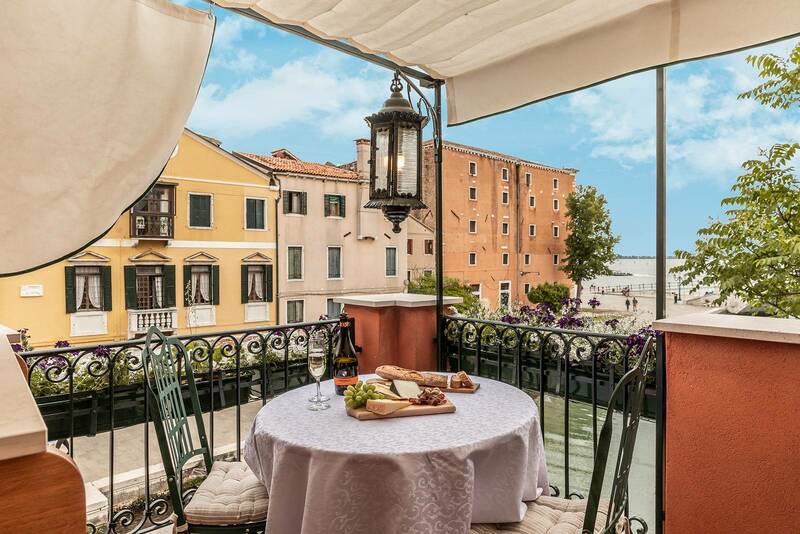 All in all a lovely apartment to see Venice from, I would highly recommend it. We stayed in this beautiful flat in early June and it was truly amazing. 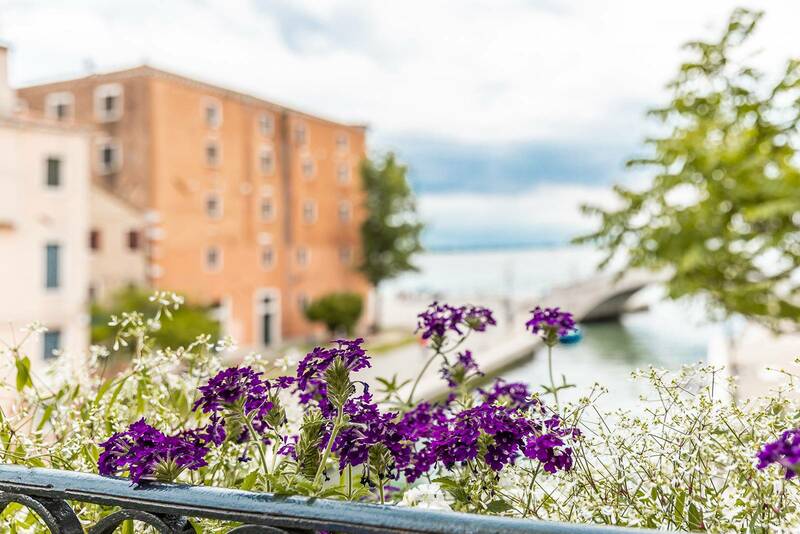 The location is perfect - just around the corner from Arsenale vaporetto stop. This means you get fewer tourists walking directly outside, but you are still only 10 minutes from St Mark's Square. The decor is tastefully opulent and the delightful balcony overlooks the water. Perfect for breakfast time. There is also air conditioning which is an absolute must in the hot summer months, but plenty of windows to throw open if you prefer. A true hidden gem! We will be back!